Ever Asked What Is The Best Way To Rig For Night Time Swordfish? If this is a question you have asked we hope that this article can answer all your questions and concerns when it comes to making your night time swordfish rigs. We compiled several years of research and talk to many of the top night time swordfish boats in the industry in order to provide you with a simple guide to make your night time swordfish rigs. We are going to cover how long you should make your leaders, what size hooks you should use, what weights you should be using, and how far you should position your weight from your baits. For all things swordfish, be sure to check out our (Main Swordfishing Page). What Length Should You Make Your Night Time Swordfish Rigs? Ideal Length For Swordfish Leader: 6ft. 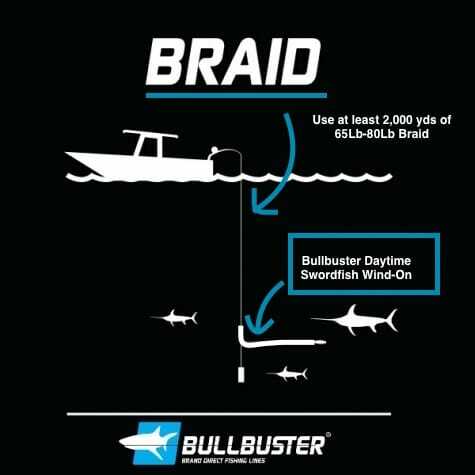 After talking to dozens of sword fishing boats, we have come up with the consensus that the best length between your main swivel and your swordfish bait is 6 feet. You want to be able to handle your fish within gaff range, making a super long leader like a kite fishing leader is not to your advantage when handling an angry 300Lb + fish boat side. 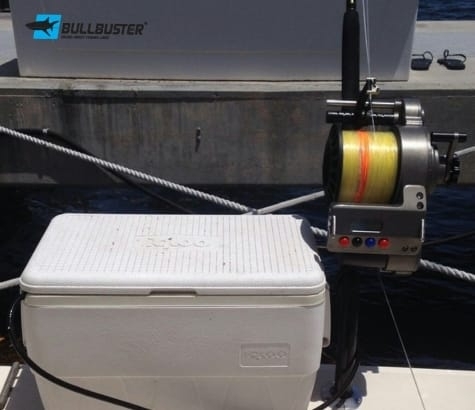 For improved handling of a big fish like a swordfish it may be beneficial to add a wind-on leader to your reel so that the leader man and the angler can work together to handle a big fish as it nears the boat. What Lb Test Should I Use For My Night Time Swordfish Rig? Anglers use anywhere between 130Lb fluorocarbon and 400Lb test mono when making their swordfish leaders. The general consensus is that 300Lb mono is the most beneficial, with 400Lb being a little bit on the heavy side. If the bite is slowing down try scaling down a little bit. Be well aware that scaling down may get you more hookups, but it also may lead to you loosing a big fish. You have to ask yourself, am I in the numbers game or the monsters game? This question should help you make your decision. What Size Hook Should I Use For Night Time Swordfishing? Most swordfishermen use between a 9/0 and 12/0 j-hook. When fishing dead baits an 11/0 is the way to go. Its got some beef to it but its not going to be too bulky. If you are fishing live baits, you may want to scaled down to a beefy 9/0 J-hook to give your bait a little bit more swimming action. What Size Weight Should I Use For Night Time Swordfishing? Most swordfishermen use between a 12 oz and 32 oz weight when swordfishing at night. While a 12 oz weight should be good for most situations, if you are fishing in an area with a lot of current and a lot of wind, you may need to go a little bit heavier to get your bait down. To connect your weight to your line using a size 1 rigging band. Check out our resources on cooking your catch! 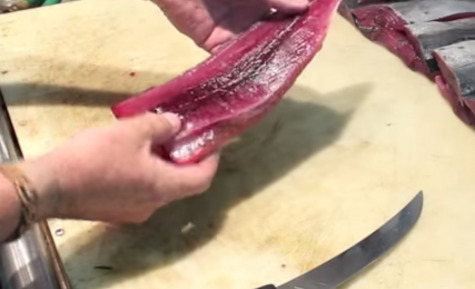 We have recipes for swordfish and a ton of other species!